Brenda Dixon Gottschild is the author of Digging the Africanist Presence in American Performance (Greenwood Press 1996, paper 1998); Waltzing in the Dark (Palgrave-St. Martin’s Press 2000, paper 2002—winner of the 2001 Congress on Research in Dance Award for Outstanding Scholarly Dance Publication); The Black Dancing Body (Palgrave Macmillan 2003, paper 2005—winner of the 2004 de la Torre Bueno prize for scholarly excellence in dance publication); and Joan Myers Brown & The Audacious Hope of the Black Ballerina (Palgrave Macmillan 2012). 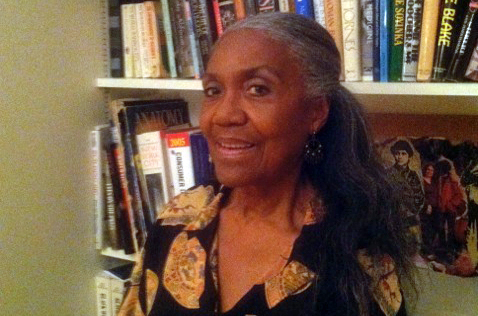 Recent awards include the Leeway Foundation Transformation Award (2009), the Congress on Research in Dance Award for Outstanding Leadership in Dance Research (2008); grants from The Pew Center for Arts and Heritage through Dance Advance to research/write her most recent book (2008, 2011); and the International Association of Blacks in Dance Outstanding Scholar Award (2013). She is Professor Emerita of dance studies at Temple University and a former senior consultant and writer for Dance Magazine. Brenda Dixon Gottschild is a Re-PLACE-ing Philadelphia Free Radical.